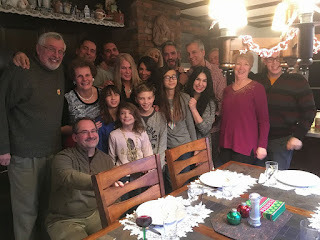 The Snooze Button Generation 2019: A Celebration of "X"
Today is an especially meaningful day in my world as my father, the XMan, would have turned 70: 12-12-17. My mom is having a get-together to celebrate his life and our connection to him at his favorite restaurant, Mallorca, in downtown Cleveland. Holiday. Celebrate. It's a celebration, and that's what certainly would have happened had he been here. Ten years ago, the family also celebrated his birthday at Mallorca, and I came in from California without him knowing. I have an incredible memory with how excited and happy he was to see me along with our family and friends. It's been a long haul, to say the least, with recovering and dealing with his passing in Feb. 2011. Anyone can read numerous posts on this blog and see the raw pain and mourning that transpired. Gut-wrenching. If anyone feels the need to go there, various posts on this blog will take you to that pain. But I don't feel the need to go there today. I count my lucky stars that I have found my soulmate, Dina, and that my girls are growing into kind and caring individuals. I got a killer house and am into my education career more than ever nowadays. 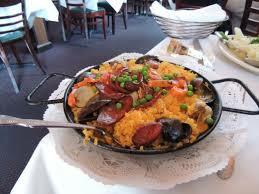 I am counting my blessings and would love to celebrate my dad and life with some tasty Mallorca paella. What does it mean to be human? Well, death is certainly a part of life, and it's foolish to pretend that doesn't exist. Anyone who met the XMan quickly understood what a unique individual he was. Eccentric. Hilarious. Kind. Glorious. Polish. Mustachioed. Emotional. Hell, I'd love him even if he weren't my father. But he was, and always will be, my dad. I guess I just thank the cosmos that I got to spend 37 years of my life with him. Gratitude. Maybe the best way to think about today, and all days, is that I was lucky to have him in my life in the flesh and now in spirit.